We’re reaching out with an update to the pricing on your 90-credit plan. As prices in the fitness industry continue to rise, we’re adjusting monthly rates on select plans in New York. The price of your 90-credit plan will increase to $145/mo. beginning on August 20, 2018, so you’ll still have another full cycle at your current rate. That’s ten more dollars than what I was paying before ($135) for the same amount of credits. I guess I shouldn’t complain because apparently, the 90 credit plan isn’t even available anymore in New York City. Here’s what ClassPass has when you go to their pricing page today. The biggest change is their most-popular 100 credit plan. If you’re on that plan, you’re paying $1.60 per credit, or $16 for a 10 credit class. For many classes, that’s in and around what they would charge for a drop-in and without the pressure of using all the credits on ClassPass. 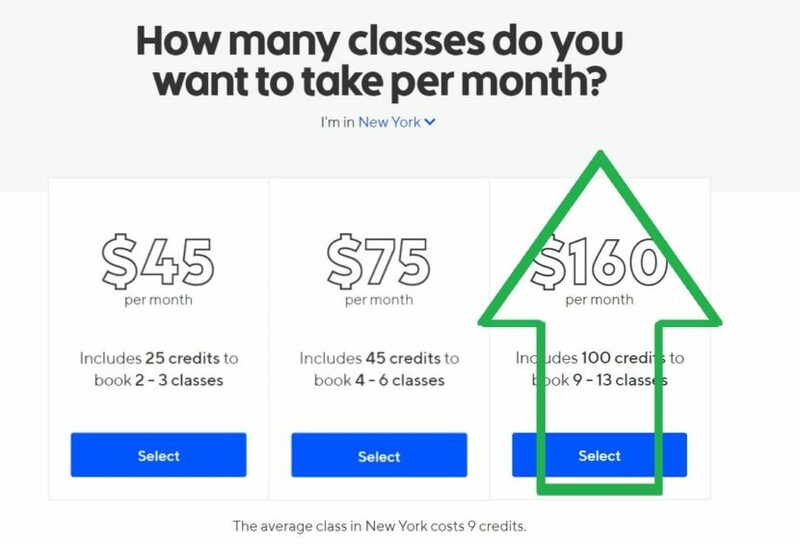 Still ClassPass offers a lot of benefits and is still worthwhile at the current numbers, but if the company continues raising their prices, the savings are quickly diminishing.